← ‘Am I doing enough?’ – A film review of ‘When We Sing’ and discussion of a singing workshop template for small communities. This is a condensed version of the paper delivered at KMEIA conference held in Brisbane in 2016. A well-rounded musician requires a breadth of training with musicianship at the core. The researchers investigated how powerful collaborations between educators in different instructional contexts yield positive results for students. They found connections between sports training and music instruction as well as potential for improvement in student outcomes through collaboration between “classroom”, “instrumental” and “ensemble” instructors. Music and Sport: training contexts in schools. Research into neuroplasticity has revealed parallels between sports and music training. Kraus and Chandraekaran claim that the “effect of music training suggests that, akin to physical exercise and its impact on body fitness, music is a resource that tones the brain for auditory fitness. Therefore, the role of music in shaping individual development deserves consideration” (Kraus & Chandrasekaran, 2010, p. 599). Young also makes connections between music and sport. “Sportsmen train and musicians rehearse. Sport has games and music has concerts” (Young, 2012, p. 41). Harrison observes that “examples of effective practice in exploring the complementary nature of the two activities are scarce” but contends that “sport can be harnessed as a motivational tool in music” provided that care is taken “to avoid entrenching stereotypes” (Harrison, 2005). Multilateral Sport Training: broader is better. Sports training methodology holds that “the overall development of an athlete involves striking a balance between multilateral development and specialised training.” (Bompa & Haff, 2009, p. 31). Leading sports theorists & researchers Tudor Bompa and Greg Haff investigated the theory of multilateral training in sport and its benefits for athletes. Bompa & Haff argue sequential multilateral training is paramount to develop the physiological and psychological attributes needed to maximise long-term performance outcomes. In formative years, broad physical development is an important principle of training to lay the groundwork upon which to build specialised athletic skill & knowledge. Sport scientists widely advocate the benefits of training diversity and caution coaches and parents to avoid specialisation in the early years of training (Carlson, 1988). This theory is verified by results from longitudinal studies that investigated the sporting development of children aged 9-18 years. In Europe and North America, children who participated in a variety of sports were more likely to participate longer in sport and subsequently achieve athletic success into adulthood. The development of broader physical skill sets such as of running, jumping, catching and throwing that were engaged across a variety of sports facilitated higher levels of agility, coordination and speed in more specific and advanced levels of sport. Although some studies revealed skill acquisition was faster in junior athletes who specialised in one sport, teenagers who diversified their physical training across multiple sports ultimately acquired a stronger ‘vocabulary of physical and psychological attributes’ that better equipped them for the physical and mental demands of training and competition at senior levels. A study of elite Swedish tennis players (Carlson, 1988) found children who trained exclusively in tennis from aged 11-15 experienced higher levels of anxiety and lost self-confidence as they progressed than teenagers with broader sporting participation. Put simply, broader is better to produce healthier, happier and sustainable athletes. The concept of multilateral development correlates to many contexts of learning including music education in schools. Carlson’s criticisms of exclusive training apply to each mode of musical instruction studied alone. Students who receive only one type of music instruction receive a substantial yet incomplete preparation for a full and rich musical life. Readers would be familiar with ‘hothoused’ solo instrumental and vocal performers whose flame flares too briefly because of “anxiety and lost self-confidence”. Some ensemble members might be too anxious to perform alone. Classroom music students might only develop an “appreciation” of music without ever performing or composing confidently. ‘Kodály’ educators are likely to encounter any one or a number of these modes of instruction. The challenge is how to interact with our context in order to produce the best musicians we can. This raises the question of what is a ‘good musician’. All four must develop together, in constant equilibrium. As soon as one lags behind or rushes ahead, there is something wrong […] Sol-fa and the science of form and harmony together teach the first two points. To complete this teaching, a musical experience as varied as possible is indispensable; without playing chamber music and singing in choirs, nobody can become a good musician ( Kodály Insitute of the Liszt Academy, n.d.) (emphasis added). Kodály’s stance reflects the broad training principles advocated by the sports researchers quoted above. He describes a musician as having good aural abilities, intellectual acuity, an ethical orientation and a well-developed technique. These attributes almost presuppose music education that combines classroom music lessons, with ensemble experience and private instruction. In England, the Associated Board of the Royal Schools of Music (ABRSM) uses the term “practical musicianship” to describe “the ability to ‘think in sound’. The ABRSM musician needs a range of interlocking skills in performance, technique, notation, listening and musical perception – as well as knowledge, understanding and creativity” (Associated Board of the Royal Schools of Music, n.d.). This definition reflects Kodály’s description of a well-trained ear, a well-trained intelligence, a well-trained heart and a well-trained hand. This broad conception of a well-rounded musician has mentioned in Australian research. Kavanagh broadened the concept of musicianship to include Gordon’s concept of “audiation” or “thinking in sound”. Kavanagh believed the classroom music course could be augmented by involvement in the ensemble program. She found “scope in a project based approach, for example to integrate co-curricular (ensemble) and curricular music” (Kavanagh, 2005, p. 143). In the United States, Grutchmacher, claimed instrumental method books emphasised the “mechanical aspects of playing” and criticised the “atomised note-identification approach” as opposed to the “tonal pattern approach”. Grutchmacher noted that “audiation can be best developed through singing experiences” and recommended “the use of vocalisation as an aid to improving the sight-reading skills of instrumentalists”.” (Grutchmacher, 1987, p. 172). Grutchmacher recommended “research into the application of a sequential learning program in which the development of aural skills is emphasized” in instrumental instruction (Grutchmacher, 1987, p. 179). While this study suggested incorporating “Kodály classroom” learning experiences into instrumental lessons, it might be more efficient for instrumental teachers to know and use the knowledge and skills the students already possess from their classroom lessons. 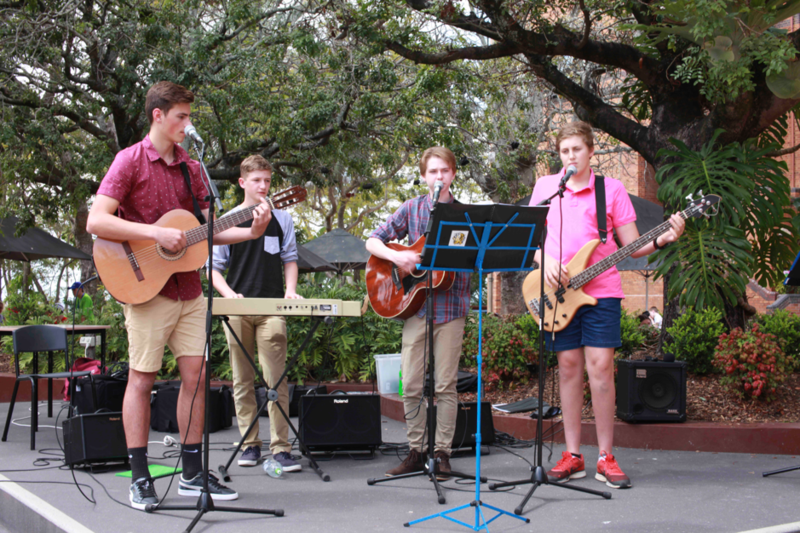 A broader, multi-lateral musicianship approach has been adopted at the Sydney Conservatorium High School. Robert Curry found the instrumentally focussed approach “a major shortcoming in its music program”. He saw the need for “an integrated, rationally planned all-school choral program directed by a choral/vocal specialist, ideally, one who is Kodály trained”. He continues “in recent years greater emphasis has been placed on things vocal, not to diminish the importance of instrumental training but to enhance and sharpen the focus of music pedagogy in the school overall” (Curry, 2012, p. 10). In this case, the focus is clearly on enhancing the ensemble experiences demanded by Kodály when he claimed “without playing chamber music and singing in choirs, nobody can become a good musician” ( Kodály Insitute of the Liszt Academy, n.d.). The aim is to produce sustainable musicians who can function as musicians for life across a broad range of contexts. Apart from the many amateur musicians who participate in community ensembles or individually, the authors have taught graduates who include a top ten pop star, the director of the Irish Army Band, a number of professional classical trombonists, one classical composer, one commercial composer, a contemporary songwriter, a music theatre musical director, a number of musical theatre actors, a number of instrumental and classroom music teachers and an opera singer. Clearly, it would be impossible in a school setting to train specifically for each of these occupations. Instead, a broad and diverse musical training prepares students to become confident in whatever musical future they choose. It takes a whole village to raise a child, so too, it takes a whole music department to produce a ‘good musician’. 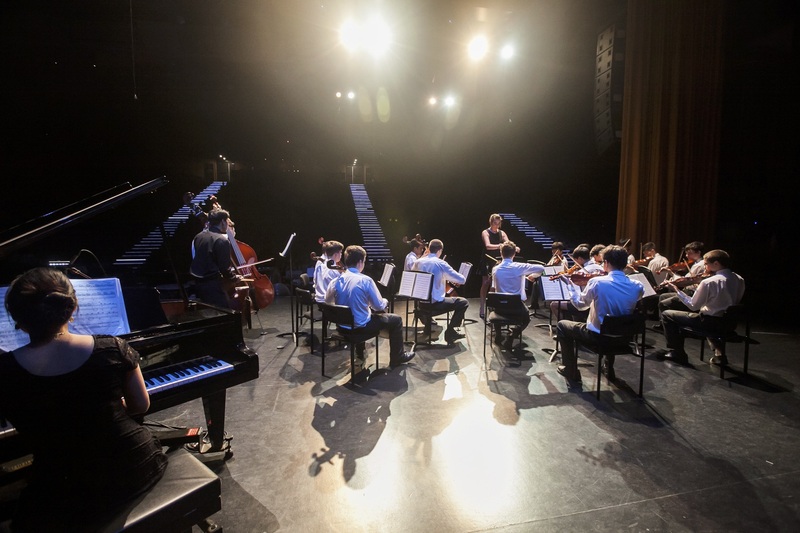 Students who regularly embrace broader musical practices develop abilities that are mutually beneficial in the classroom, studio and ensemble. Hattie notes that, “it is the frequency of different opportunities rather than spending ‘more’ time on a task that makes a difference to learning” (Hattie, 2009, p. 185). Broad ‘cross fertilising’ of teacher training, instruction methods and resources, develops deeper and wider proficiencies. Multilateral sports training suggests that in music we develop ‘aural fitness’ in parallel with ‘game skills’ (performance opportunities) to encourage the production of singers and instrumentalists who can synthesise aural abilities in creative, spontaneous and independent music making. Examples of this include many forms of ‘higher order thinking’ processes such as improvisation, sight reading and composition that requires a synergy of aural and technical skills to create music. The design and culture of every school music program is unique as it is shaped by factors including student demographic, school structures and staff skill sets. Exporting a system from one campus to another is not viable so implementing school-wide approaches requires consideration and adaptation. Importantly, strategies to link teaching ideas in a music department should not be seen as an assault on individual and specialised teaching practices but rather as a means to better compliment expert skills and improve teaching efficiencies to produce happy and whole musicians. Teacher Roles and Professional Development. Marie Hennessy proposes school-based or ‘in-house’ professional development (PD) as a powerful way to meet the unique needs of a particular school staff and can be used to support collaborative critical reflection (Hennessy, 2011). Specialist instrumental and vocal teachers often experience professional isolation as ‘part-time’ employees and they are sometimes overlooked when ‘in-house’ teacher training opportunities are planned. Whole department PD forums, perhaps delivered by fellow staff, can generate valuable peer conversations and shared understandings of classroom, studio and ensemble musicianship. Ongoing musicianship and teacher training opportunities, such as the Sound Thinking Summer School, the ACCET summer conducting school, AUSTA or ABODA events should be encouraged and it is imperative that the learning gleaned from these experiences is shared. Using, where appropriate, complimentary teaching strategies, resources and repertoire across music classrooms, studios and ensembles helps musicianship acquisition in different learning contexts. Approaches, activities, teaching aids and repertoire used in music classrooms can be applied in studio and ensemble settings. Appropriating ideas and materials is not simply mimicking classroom practices, but rather is constructing multiple relevancies and competencies. Nuthall argues “students need up to four different ‘exposures’ to content to truly be able to commit it to memory and understand it properly. There is strong evidence that deep learning is enhanced when educators use ‘multiple representations’ by offering several mutually supportive sources or experiences for learning” (Nuthall, 1999). The principle of discovering elements and concepts through immersion in sound (repertoire) and the premise that skill acquisition and knowledge is based on ‘doing’ in Kodály teaching practices, translates across classroom, studio and ensemble experiences. Although the Kodály philosophy of ‘thinking in sound’ via repertoire engaged in music classrooms has universal relevance, the planning and sequencing frameworks used to support this in a Kodály classroom context require customization for use in studio and ensemble teaching. The learning phases commonly applied in Kodály pedagogy of “prepare, present and practice” have some broad applications outside the classroom but the teaching of repertoire by rote in early stage learning, and the stages to making elements ‘conscious’, is more problematic for direct use in studio and ensemble settings. More commonly in private tuition and ensemble rehearsals, music played and the sequence in which it is taught, will be guided by instrument-specific technical considerations and the sequencing and content of repertoire in selected method books and programs in schools. Similarly, whilst highly effective in classroom methodology, using multiple short ‘teaching focuses’ for concurrent development of musicianship skills, is less practical in private studio lessons where time and instrument/voice specific technique development must be integrated in half an hour (or less) each week. 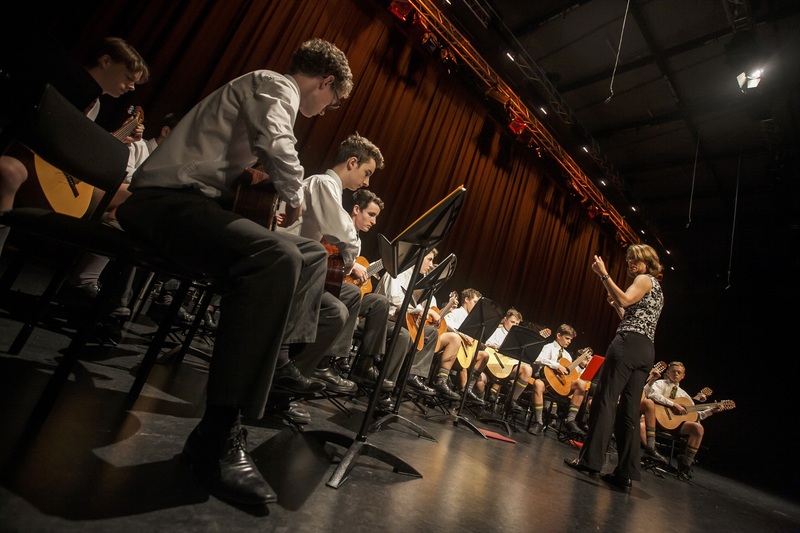 Establishing pedagogical links in repertoire unites approaches to building student musicianship. Songs used in Kodály-focused classrooms are largely selected to teach specific musical elements and concepts while repertoire played in instrumental lessons and ensemble work is generally less explicit and ‘scaffolded’. Engaging students with a wide range of repertoire in multiple experiences in instrumental lessons and bands provides early aural preparation for later conscious study in the classroom. 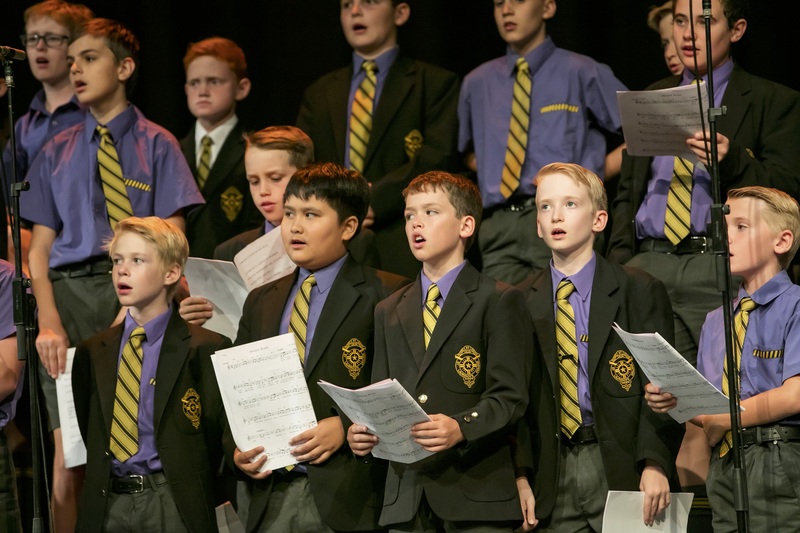 Appropriating repertoire, especially from the classroom, may initially be seen as tedious by students in a different context, but many students enjoy exploring music ‘they know’ and perform classroom songs as informed musicians with confidence. 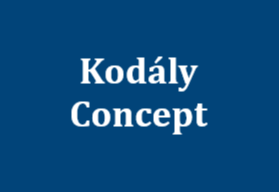 The traditional song files belonging to many Kodály educators are a great resource to share and adapt for instrumental lessons and rehearsals. Repertoire: Canon singing and selection. The use of canons every rehearsal to develop part work and musicianship as would be done in the classroom. Use of solfa in drill exercises: Singing scales in solfa, creating chords in solfa and relating back the classroom curriculum. Hand signs as a tool. Hand signing melodies to students as they sing in words, to connect pitch correctly to the lyrics. Students inner hear and handsign. Use of time names as an aid to help with rhythmic accuracy. Clap and say, clap and sing, sing in time names etc. The concept of inner hearing with the students. Maintaining reading from the staff in note names and chord letter names as well as solfa. Singing in letter names, scale degree numbers and chord names as well as solfa. Using ‘instrumental counting’ (‘one and two and’) as well as French time names – different methods connect with different students. Valuing instrumental performance in class work through having students play the classroom repertoire on their instruments as well as singing it, both in solo and in in group contexts. Clearly, we can all learn from one another in our various areas of music instruction. Kodály himself stressed the need for a broad musical education. Overall, building bridges between the different areas of instruction, while respecting the individuality of each area, is valuable for staff and students alike. Having a whole department approach to recruiting and nurturing students is far better than individual teachers working alone. When the whole of the music staff support each other’s efforts, the conditions are present for a music department to thrive. A thriving music department produces communities of practitioners, students, parents and teachers, who grow as musicians, citizens, and people. Thanks to Rob Anders and William Brown for their interviews and to the rest of the music staff at St. Laurence’s College for their contribution to this paper. Bompa, T., & Haff, G. (2009). Periodization:theory and methodology of training. Human Kinetics. Carlson, R. (1988). The Socialization of elite tennis players in Sweden: An analysis of the players’ backgrounds and development. Sociology of Sport Journal, 5, 241-256. Carroll, A. (1984). Queensland Report . Future of Music Education in Australia: Australian Society for Music Education Fifth National Conference (pp. 86 – 90). 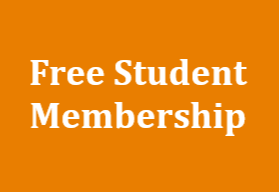 Sydney: Australian Society for Music Education. Curry, R. (2012). 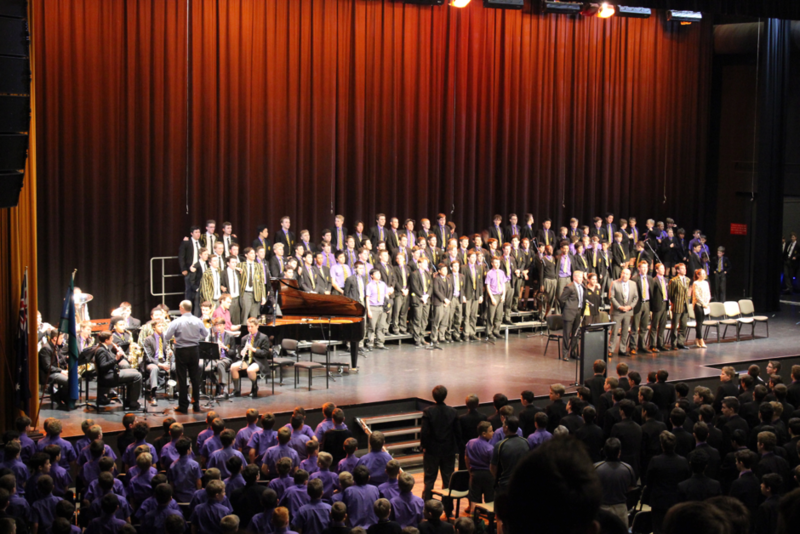 The ‘Junior Vocal Stream’ at the Conservatorium High School. 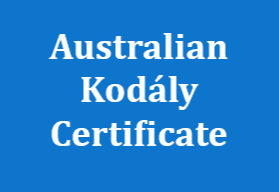 Australian Kodály Journal, 9-11. Grutchmacher, P. A. (1987). The Effect of Tonal Pattern Training on the Aural Perception, Reading Recognition, and Melodic Sight-Reading Achievement of First Year Instruemtal Music Students. Journal of Research in Music Education, 35(3), 171-181. Harrison, S. (2005). Music Versus Sport: A New Approach To Scoring. Australian Journal of Music Education(1), 56-61. Hennessy, M. (2011). Mentoring and Reflective Practice as Tools for Developing Teacher Quality. 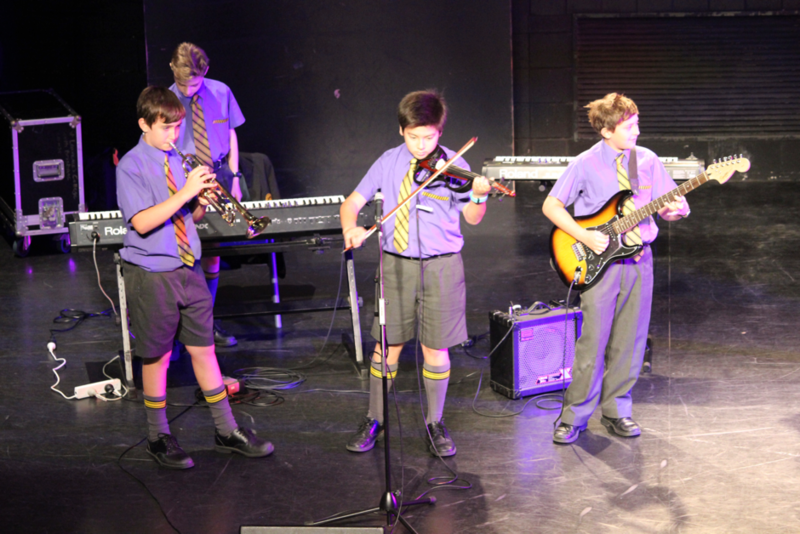 In K. Queensland, Middle Years Music Education: Music for the Heart, Spirit and Mind. Brisbane: KMEIA. Kavanagh, L. (2005). Queensland Music Syllabus: A New Direction. In D. Forrest (Ed. ), Celebration of Voices: XV National Conference Proceedings (pp. 141- 146). 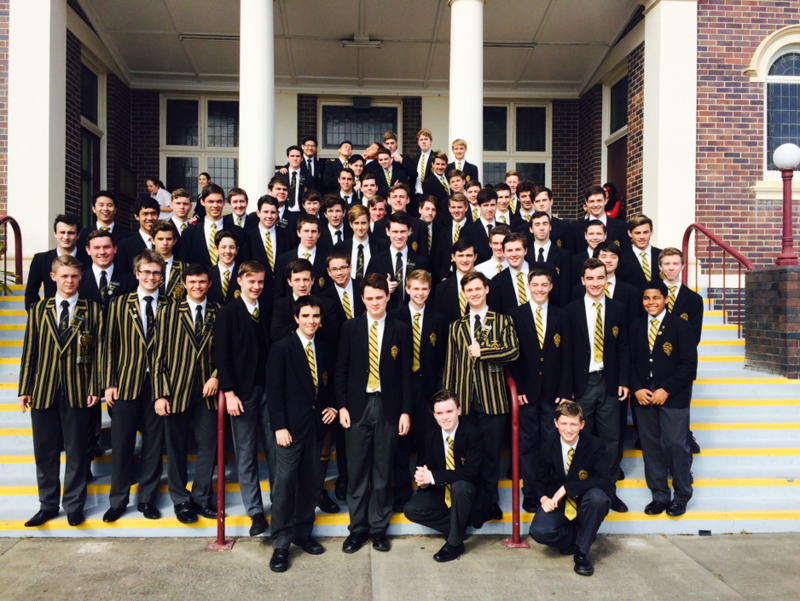 Parkville: Australian Society for Music Education. Kraus, N., & Chandrasekaran, B. (2010, August). Music training for the development of auditory skills. Nature Reviews. Neuroscience, 11(8), 599-605. Murphy, F., Rickard, N., Gill, A., & Grimmett, H. (2011, November). Informing new string programmes: Lessons learned from an Australian experience. British Journal of Music Education, 28(3), 285-300. Nuthall, G. (1999). The Hidden Lives of Learners. In International Journal of Educational Research Volume 31, No3. Wilkinson, R. (1971). 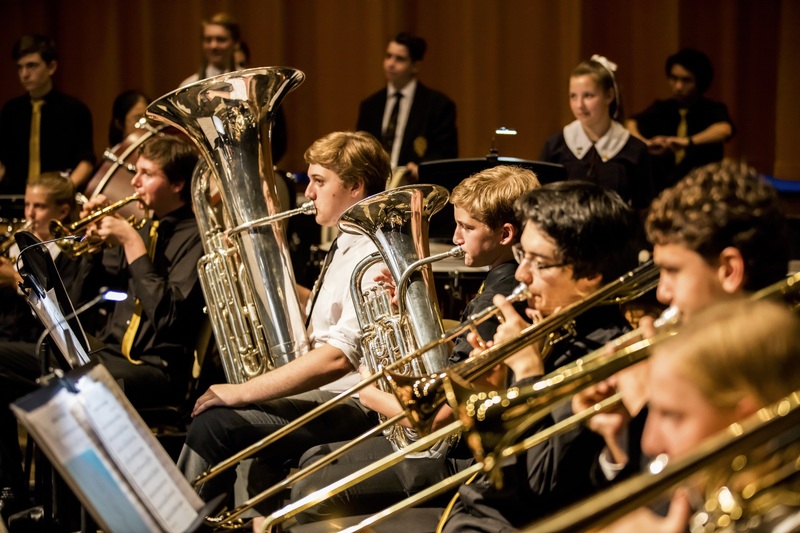 The Implications of the Radford Report for Music Education in Queensland Secondary Schools. University of Queensland Thesis, Chapter 2, 13-54. Brisbane, Queensland, Australia: Unpublished. Young, A. (2012). The adolescent Male Changing Voice: Physiological, Psychological and Practical consiederations for Classroom Music teachers. . (T. Hayes, Ed.) Australian Kodály Journal, 37-45.